Avocat au Barreau in Paris since 2008, Daniela Antona works primarily in the area of litigation. She is a member of the Litigation & Mediation and International Arbitration teams. Daniela is an accredited mediator at the Chambre Nationale des Praticiens de la Médiation in Paris. Daniela Antona grew up in Luxembourg, where she lived until completion of her secondary education. Before joining CastaldiPartners, she worked for a law firm in New York. Daniela Antona pleads not only before the Commercial Courts of Paris and Ile de France, but also before the Commercial Courts throughout the whole France. In her ten-year career, she has thus developed a comprehensive vision on the settlement of disputes between companies and the specific contexts of French commercial jurisdiction. Daniela Antona works in English, French and Italian. Representation of the directors of a group working in the furniture industry before the Commercial Court of Épinal in judicial liability proceedings relating to insolvency. Representation of an Italian group working in the field of construction before the Commercial Court of Paris in a dispute relating to the benefit of discussion on a first-demand bank guarantee. Representation of an Italian company before the Commercial Court of Nanterre for precautionary measures due to the non-performance of a contract by a French company. Representation of an Australian company working in the energy sector before the Commercial Court of Paris in a dispute relating to the supply of products. Representation of an Italian aerospace group before the Commercial Court of Toulouse in a dispute concerning industrial defects. Representation of an Italian producer of refrigerators before the Commercial Court of Paris in a dispute against a Russian commercial partner for the redefinition of contractual terms and conditions. Representation of an Italian group working in the automotive industry before the Clermont-Ferrand District High Court in a dispute relating to a product. Representation of an Italian group working in the industrial sector before the Commercial Court of Aix en Provence in the framework of a dispute following the acquisition of a French company. Representation of an Italian group working in the construction sector before the Administrative Court of Paris in an expertise procedure during the construction of a railway structure. Aix-Marseille Université - Faculty of Law and Political Science (13 October 2017). “Appelons un Chat un Chat ! Le défaut de traduction d’un acte dans la langue du destinataire lui fait nécessairement grief !” participation in the conference proceedings « L’inapplication du droit ». ICC International Center for ADR, Paris, France (19 October 2016). “International Arbitration, a proposed setting for environmental disputes” (Volume 5, Issue 2, Year 2017). “Med-Arb: A choice between Scylla and Charybdis”(AAA, Dispute Resolution Journal Jurisnet, September 2014 ; republished by the Thai Arbitration Institute, September 2015). 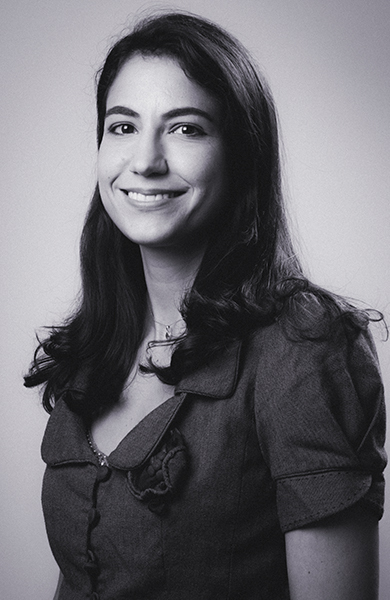 Daniela taught Contract Law at the Université Paris 1 - Panthéon-Sorbonne between 2011 and 2013. CALI Award, Excellence in Writing Award, in: Special Topics in Dispute Resolution - Advanced Mediation (Cornell Law School, New York, 2014).